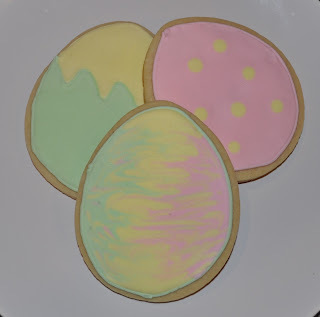 Love the blending tri-color cookie. How do you do that? They are making me hungry. Are you gonna make me bake? They look FABULOUS! Could you share your recipe or the blog you got your recipe from? Tanks abunch! You did a great job witht he decorating! HAPPY EASTER!!! These are so cute! And the look like they are yummy too! I especially love the tie-dyed one. Great job!